I could not wait to get this book in my hands!!! Opening it is like taking a field trip to the beach. Every day, seashells wash up on beaches all over Earth, like treasures from a secret world beneath the waves. They come in all sizes, colors, and shapes. That's because they have so many different jobs to do. 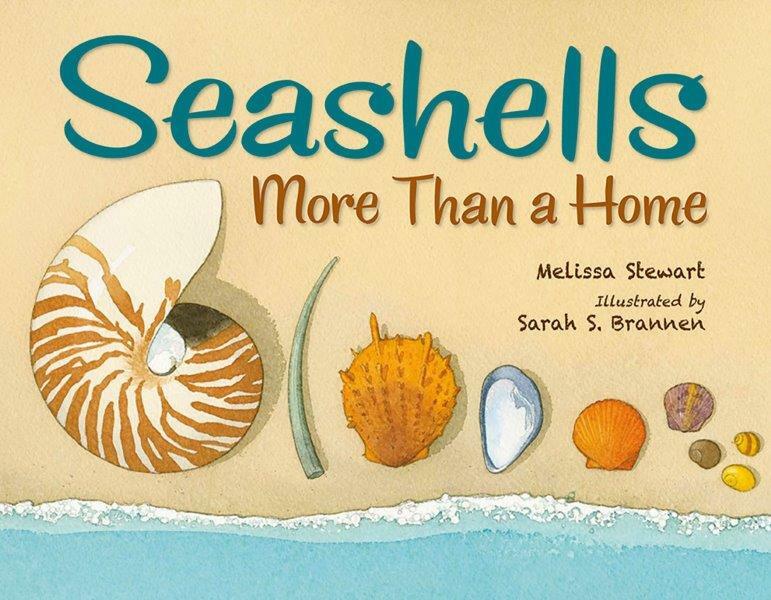 In this book Melissa Stewart explains how some shells function to allow the mollusk to dive deeper into the water, or tunnel into the seabed to hide from a predator. Some shells blend in with their background, while others light up. What I like LOVE about this book: I always learn something new when I read one of Melissa's books. This time I learned about a clusterwink snail that produces light! I also like that the text is written for two reading levels. For example, large text on the second spread reads, "Seashells can rise and sink like a submarine..." The smaller text adds details to how the nautilus pumps water into the shell to sink. I love Sarah Brannen's watercolors. Not only does she show amazing details about the shells, but she includes children drawing shells, and journal sketches with notes. And the colors are so warm and soft I just want to take off my shoes and socks and stick my feet in a sandbox. I love the end pages that show the mollusk habitats and ranges. And the wonderful spread at the back where you can learn more about the five largest groups of mollusks. One thing Sarah writes in her illustrator's note sticks with me: "You never see something as clearly as when you try to draw it." That's why I try to sketch things I see when I head outside. Drawing what you see in nature makes you slow down and look more closely at the details. Draw a shell. Visit a museum or nature center or other place that has shells. (You might find shells in a store!) Find one that you like and draw it. Remember what Sarah says: drawing helps you see the details. Write down some of the things you notice. If you had a shell, what kind would it be? How would you move from one place to another? You can download a teacher’s guide for this book from Charlesbridge. Today we're joining other book bloggers over at STEM Friday, where you can discover other cool STEM books. 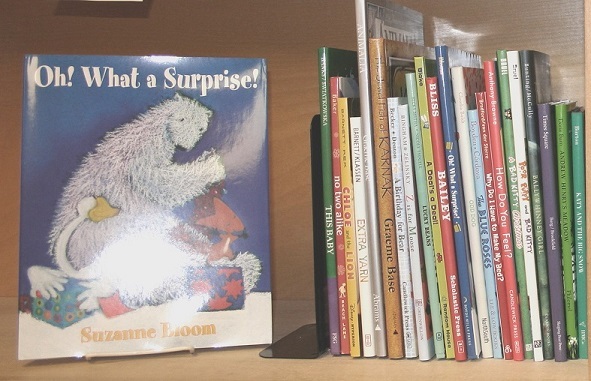 And we're joining Perfect Picture Book Friday, an event where bloggers share great picture books at Susanna Leonard Hill's website . Review copy provided by publishers. Truly, each of Melissa Sweet's books is not only a rich and beautiful mine of information in itself but is a masterclass in writing nonfiction picture books. Looks like a perfect storytime book for this summer! I have a pile of shells to share too! So glad you shared this book! I live on an island in the Pacific Northwest and so I'm always on the lookout for wonderful ocean books. This is perfect for a great-grandson who lives along the ocean. I've been looking for books with ocean specific themes, and this one rounds it out. Thanks. This looks lovely. I will check it out. Thanks for the review. I love Melissa Stewart's books. I've been eagerly awaiting thus one. Thanks Sue for a great review.